I love the different aspects of each season: the coziness of winter, pretty blossoms in the spring and the clean breeze in the fall. What I like most about summer isn’t just the constant sunshine but also the cute shorts and a sun-kissed glow. 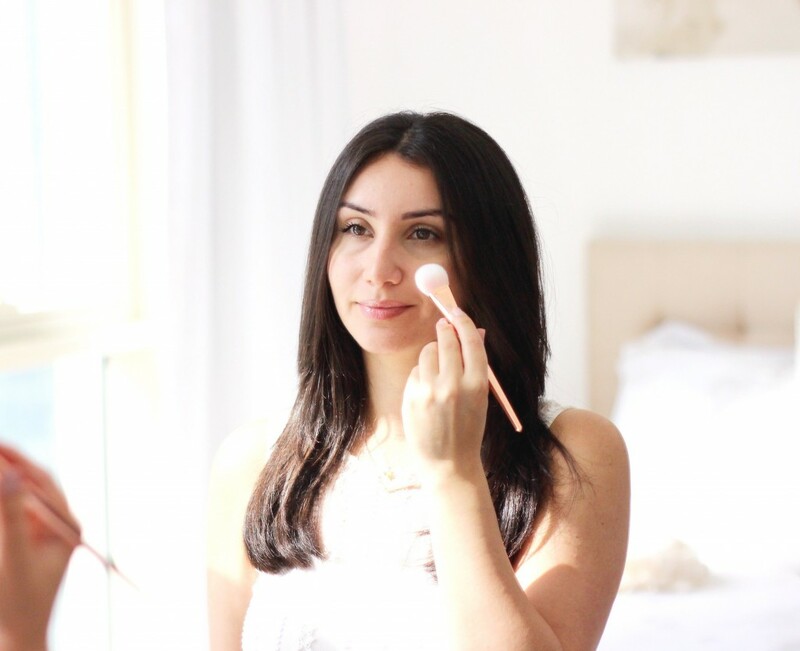 The temperatures are getting really high in Dubai at the moment so I’m taking extra care of my skin and decided to share my favorite products and tips to get a beautiful summer glow. 1. Moisture: I always talk about hydrating but it’s so incredibly important. I’ve noticed an improvement in my overall complexion, diminishing of old scarring and even less frizz in my hair. 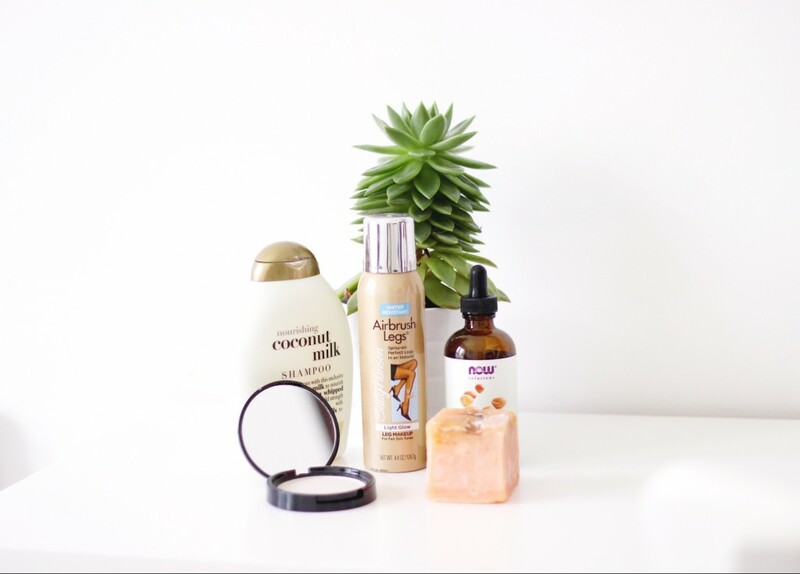 I talked about my love for Argan Oil and how I use it for almost everything. I recently also shared my Curly Hair Method and favorite products to keep your hair moisturized and healthy. Don’t neglect your nails either, a good almond cuticle oil can go a long way. 2. Treatment: I shared a 2 part series on the best products to Scrub and Polish your skin, and this is the most effective way to keep my skin bump-free and smooth. I completely recommend getting a facial at least once a month but I know how hard it is to find the time to do that, so try my at-home dewy skin mask and thank me later! 3. Base: This is an obvious one, but we need to start paying extra attention to sunscreen and making sure it’s part of our routine. I’m not always good about it, and that’s why I like to use a BB cream with high SPF such as Tarte’s BB Tinted Treatment. 4. Shimmer: I love adding some luminosity to my skin, and my favorite products for that is the Sally Hansen Airbrush Legs for my body, and Too Faced Sweethearts Flush Blush for my face. The Naked 3 palette is my favorite of all time, but especially in the summertime I like the extra shimmer on my lids. Great post! So many good tips! !